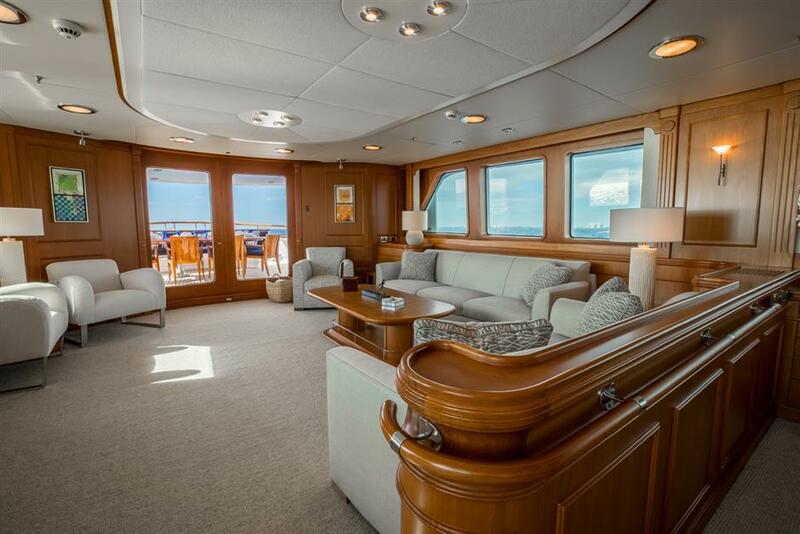 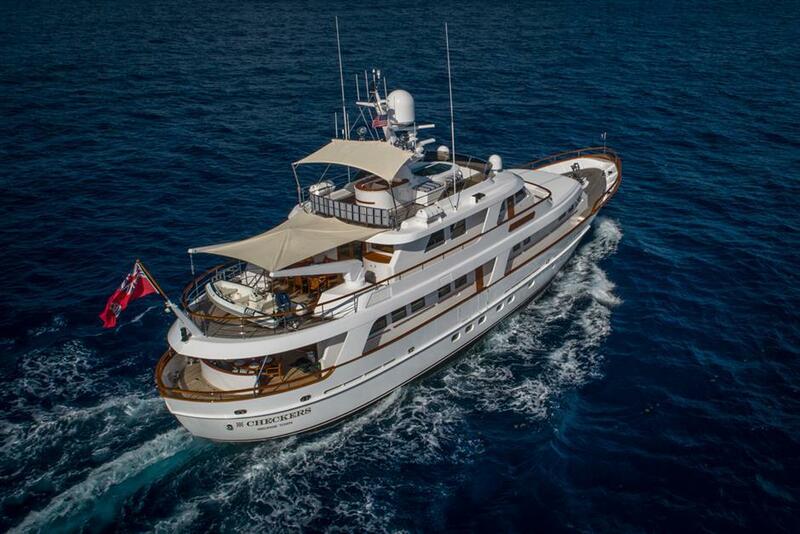 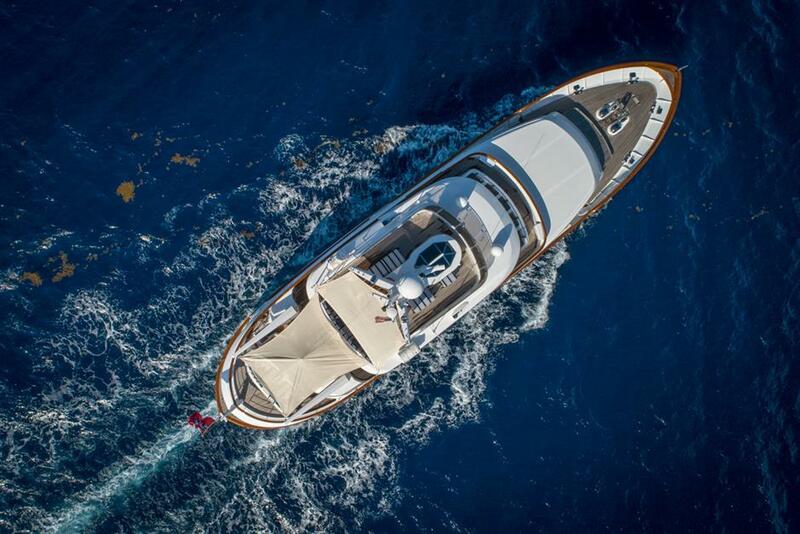 CHECKER’s is a “gentleman’s” yacht, seamlessly blending classic charm with modern luxuries. CHECKERS is a stunning example of a classic canoe stern yacht. 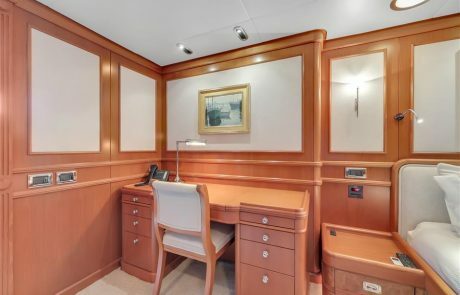 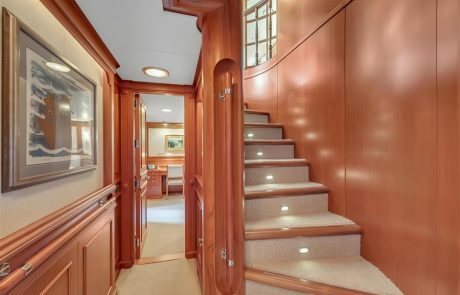 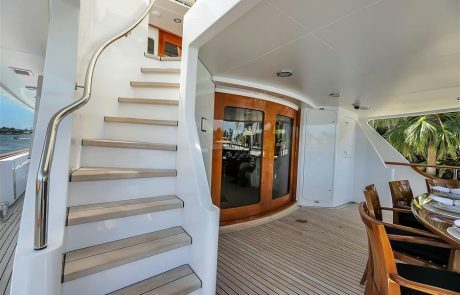 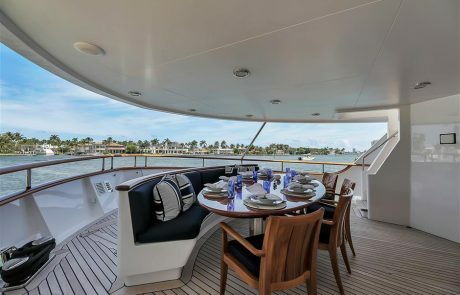 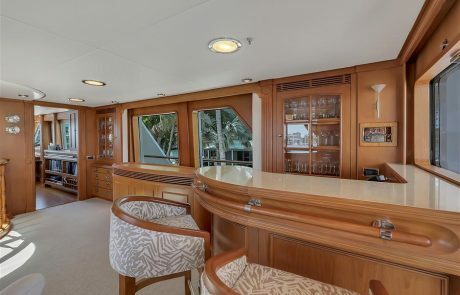 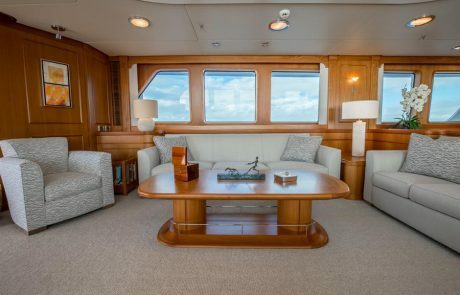 This impeccable styling adds to the charm and uniqueness of the yacht as well as allows for port or starboard boarding ladders. 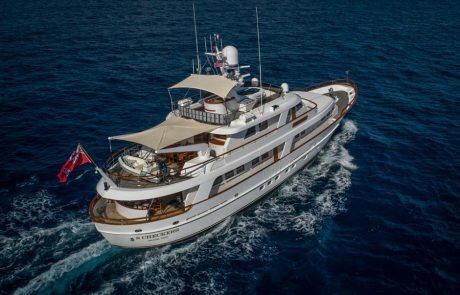 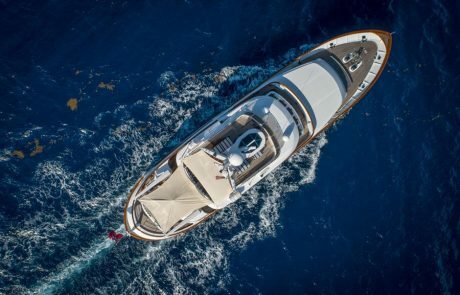 The luxury yacht is in immaculate condition, receiving a 18-month extensive refit in 2018. 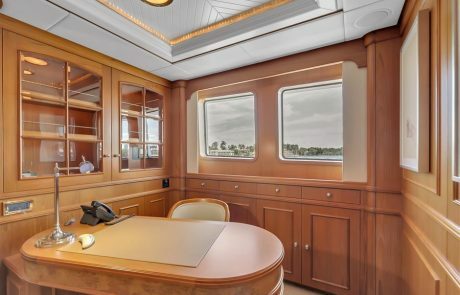 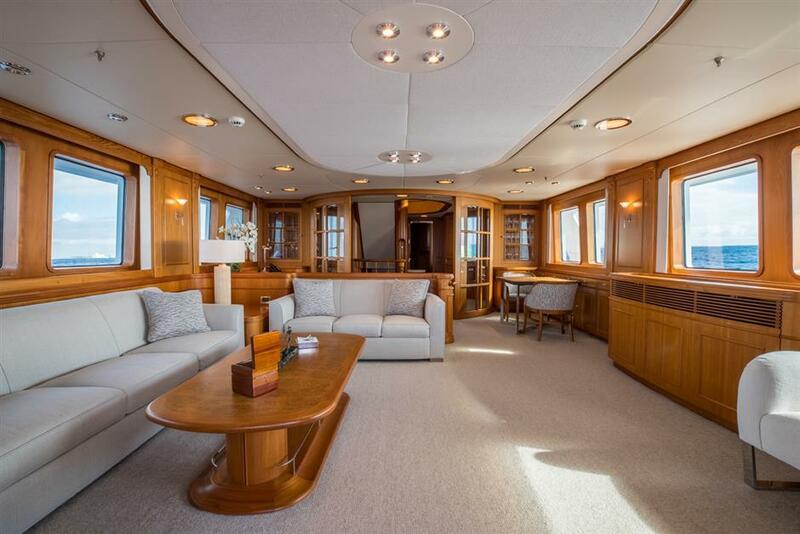 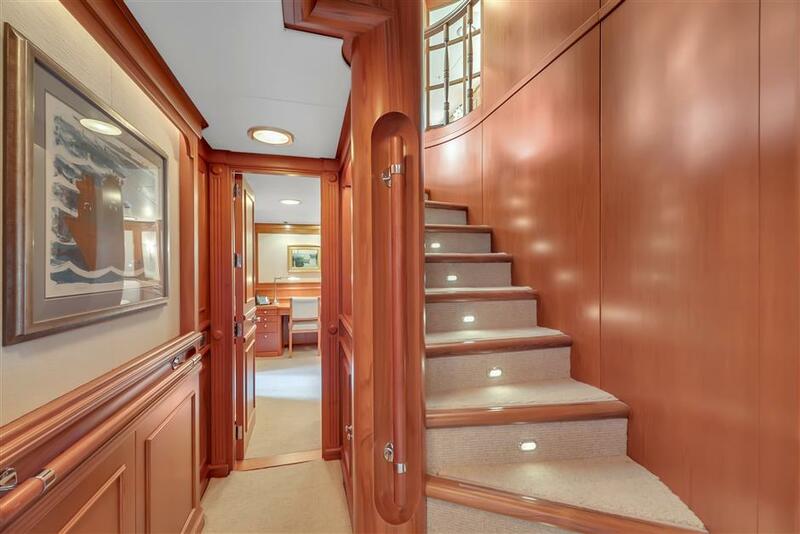 The yacht’s interior exudes classic elegance with its soothing color palette and exquisite woodwork by Dutch master craftsmen. Large windows are found throughout CHECKERS’s interior allowing for the space to be flooded with natural light as well as offer sensational views. 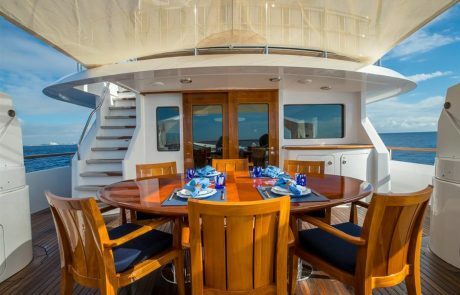 CHECKERS offers exceptional accommodations for the owners and guests to lay their heads. 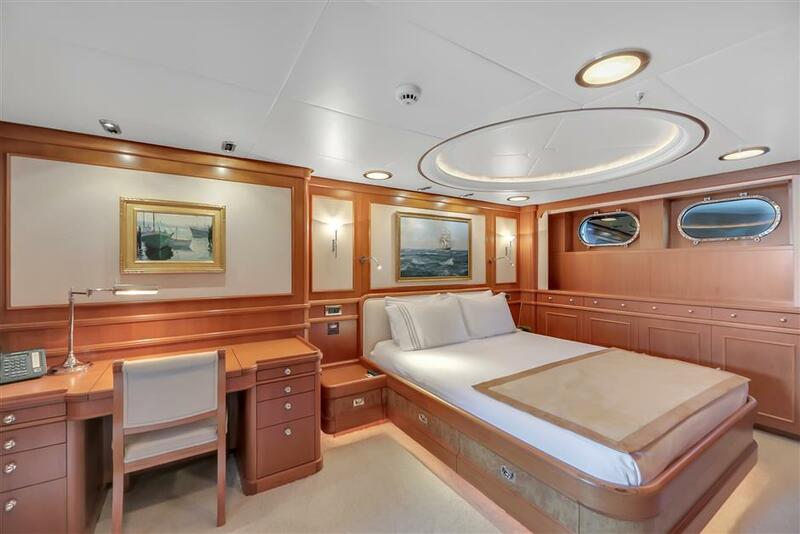 The motor yacht welcomes eight guests in four beautifully appointed staterooms. 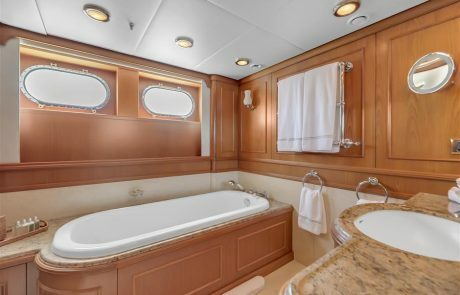 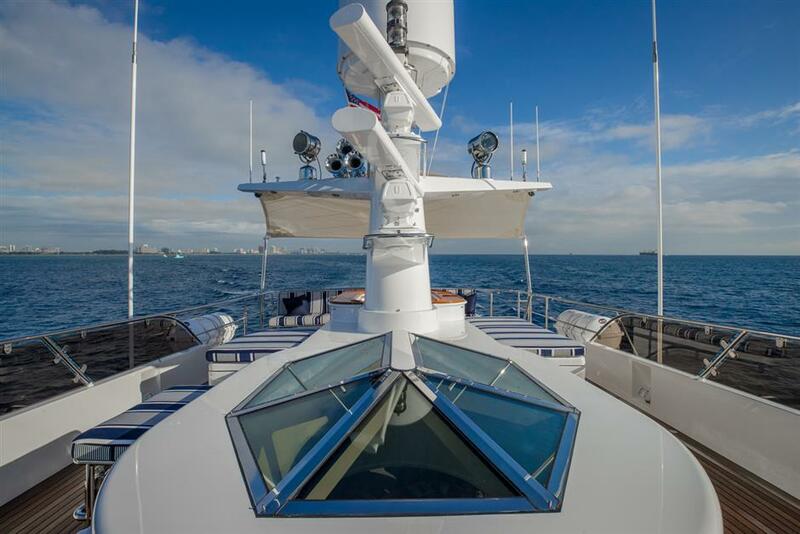 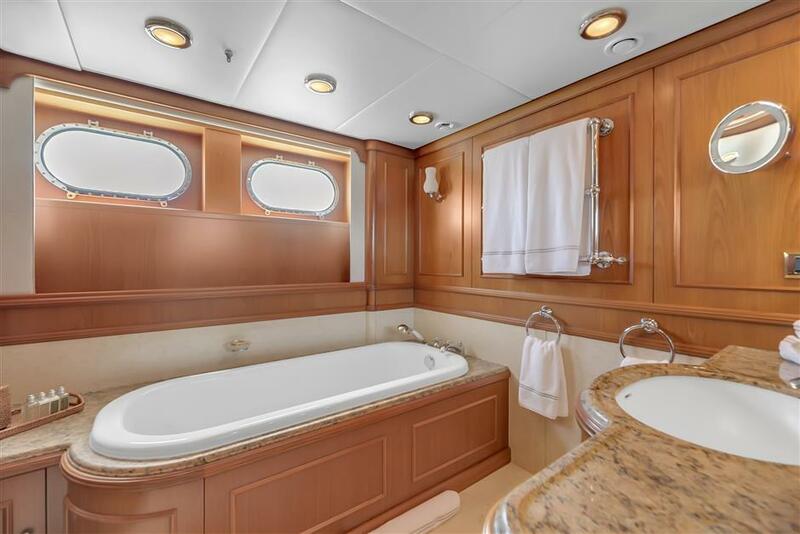 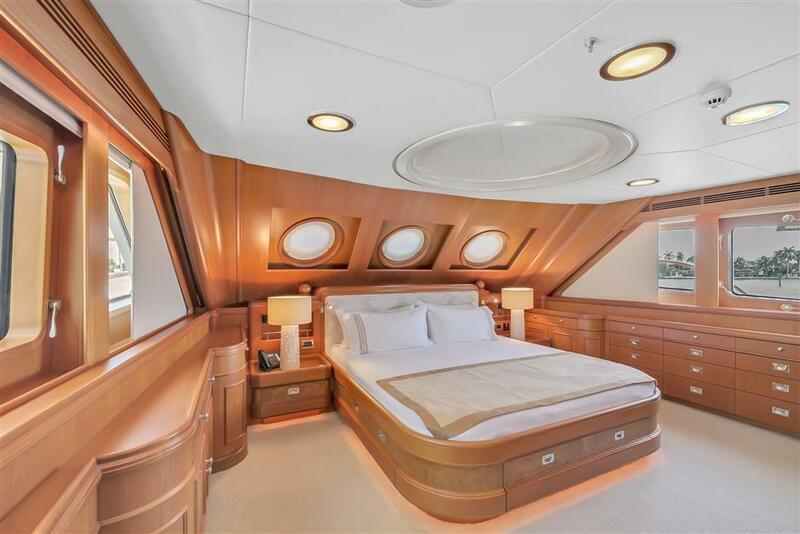 She features a stunning full-beam, on-deck master suite with a private study and expansive en-suite bath with a bathtub and shower. 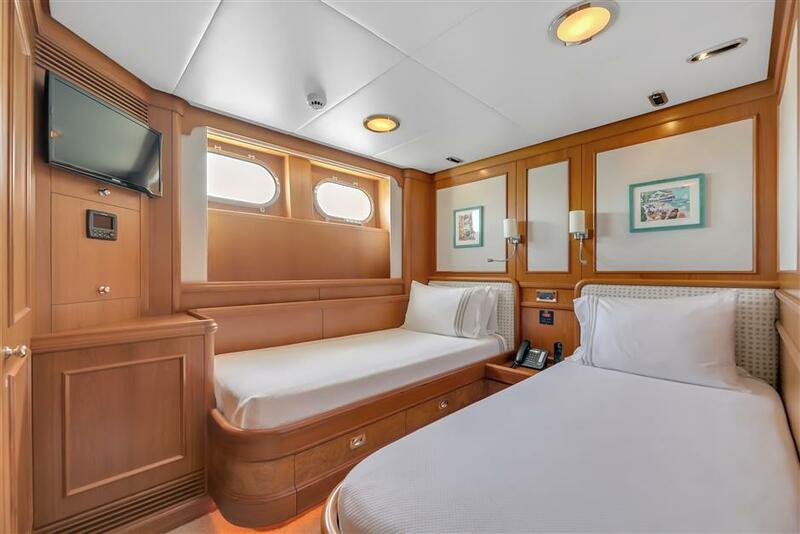 The yacht also showcases an impressive, full-beam VIP stateroom with a queen-size bed and en-suite bath with a bathtub and shower. Additionally, the yacht has two twin-bed staterooms. 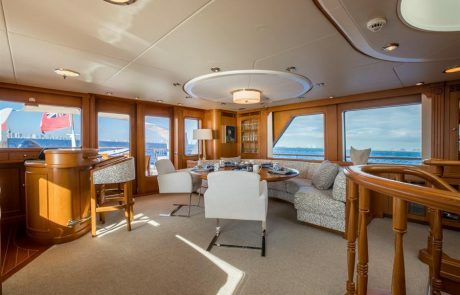 Motor yacht CHECKERS perfectly encapsulates the alfresco lifestyle. 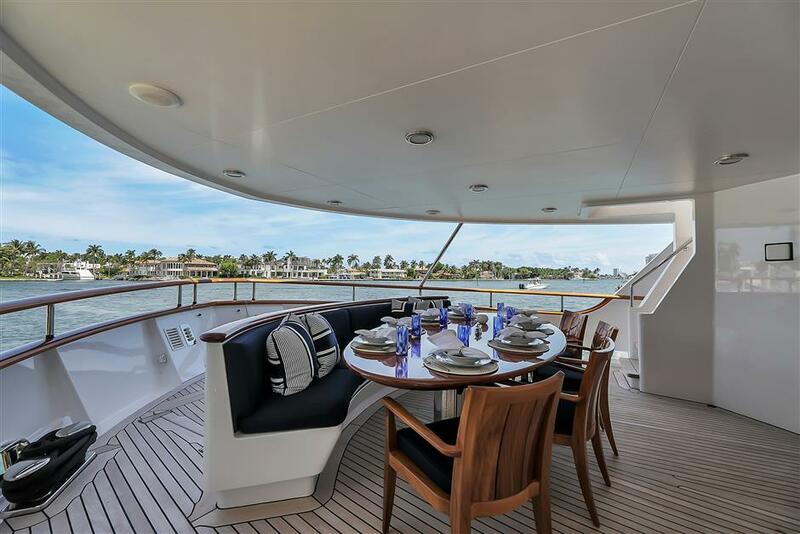 She features alfresco dining for eight on the aft deck and a sundeck with ample lounging. 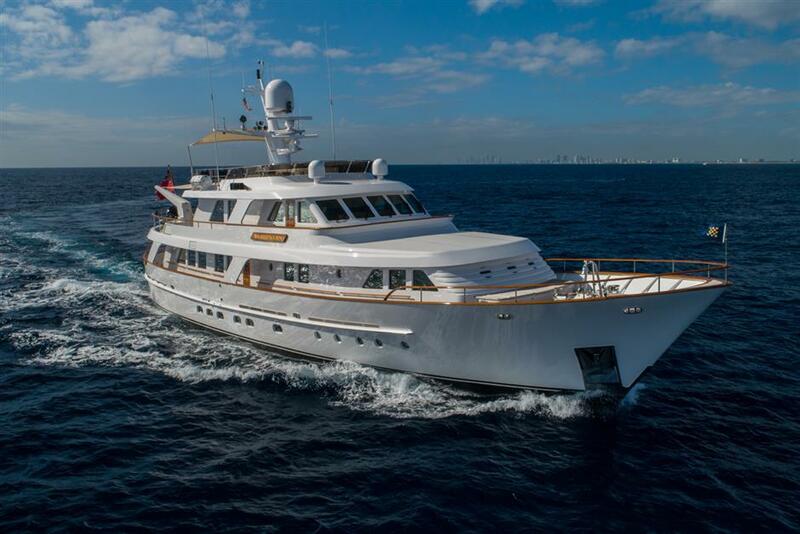 The luxury yacht allows for cruising anywhere your heart desires with a 5,500-nautical-mile cruising range.